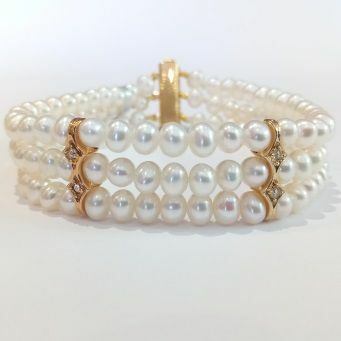 A delicately elegant triple-stranded bracelet of superb small/medium lustrous white pearls and 22k gold-plated spacer bars set with sparkling Swarovski crystals. 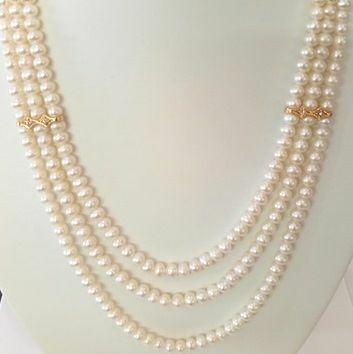 Each pearl is 5-6mm in diameter and the overall length is 7.5 inches. 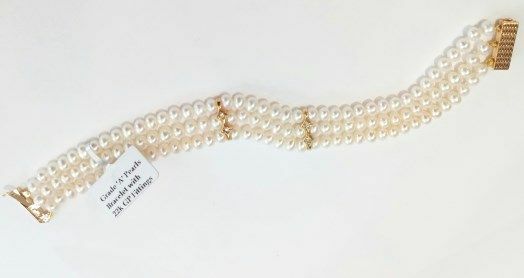 The simple 22k gold-plated clasp is easy to use, with a reliable mechanism. The metal components are made for us in Germany with first-quality materials. 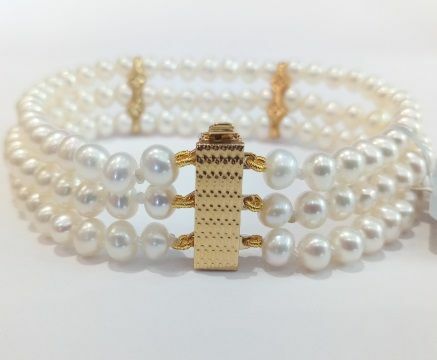 This lovely piece comes in a handsome gift box or a pretty and practical silk pouch, at no extra charge. Please choose from the options offered. Click here to see the matching necklace.